Next Week at MilSatCom USA, the Department of Defense and the commercial satellite industry will be looking at the challenges of defining and strengthening a future military space architecture. In planning for the future, it is often best to learn from the past. Let’s see what military strategist General Carl von Clausewitz (1780-1831) might suggest. One of the most challenging aspects of protecting US space assets and defining that future architecture is the threat posed by the rapid advances in anti-satellite technology (ASAT) by other countries. Anti-satellite missiles, for example, have the capability to destroy not only the target satellite, but also many others as a result of subsequent space collisions caused by the thousands of pieces of orbiting debris produced by the target’s destruction. If space is becoming a battlefield, then it is time to examine the battlefield in the context of time-honored, battle-proven military theory. Let’s evaluate the space battlefield using General Clausewitz’s Vom Kriege (On War) as our guide, which tells us to always maintain a combat reserve, and maximize the use of the element of surprise. Transposing this to the space battlefield, ASAT would suggest it is prudent to disaggregate – and then conceal – future space architectures as much as possible. Disaggregation. Clausewitz’s On War tells us to never expose (much less employ) all of our combat force at one time. Launching a readily-identifiable, government-owned military satellite communications (MILSATCOM) constellation into space is like exposing our entire C4I architecture to the front lines of combat. Worse, the limited numbers of MILSATCOM assets in orbit would create extremely high value targets for ASAT technologies. Clausewitz would clearly agree that a disaggregated commercial satellite communications (COMSATCOM) architecture is more in line with standard military doctrine. Commercial Concealment. Clausewitz’s On War also tells us to maximize the use of surprise, which he notes is “one of the strongest weapons of…warfare.” As discussed above, placing DoD’s C4I architecture into a small, readily-identifiable government-owned (MILSATCOM) constellation in effect offers free advertising to our adversaries, making these assets easier to identify and destroy. This will become even easier as ASAT technologies continue to advance at a rapid pace. Conversely, burying DoD’s C4I architecture into an imminently flexible, infinitely-scalable, and continuously-modernizing commercial satellite communications (COMSATCOM) architecture will render ASAT technologies relatively useless and costly. In plain language, destroying 10 MILSATCOM satellites carrying most of DoD’s centralized C4I SATCOM backbone will be easy; destroying 150+ commercial satellites, each possibly carrying only a fraction of DoD’s C4I SATCOM architecture, is exponentially more difficult and expensive. Conclusion. DoD has recognized that space is now a contested environment, so it is now time to apply the timeless principles of war to DoD’s planning efforts. Clausewitz gives us a good start in how to analyze the space battlefield. ASAT makes government ownership of a few limited MILSATCOM assets a seemingly poor option given the disaggregation and concealment offered by a “constellation of constellations” environment available in a robust COMSATCOM solution. 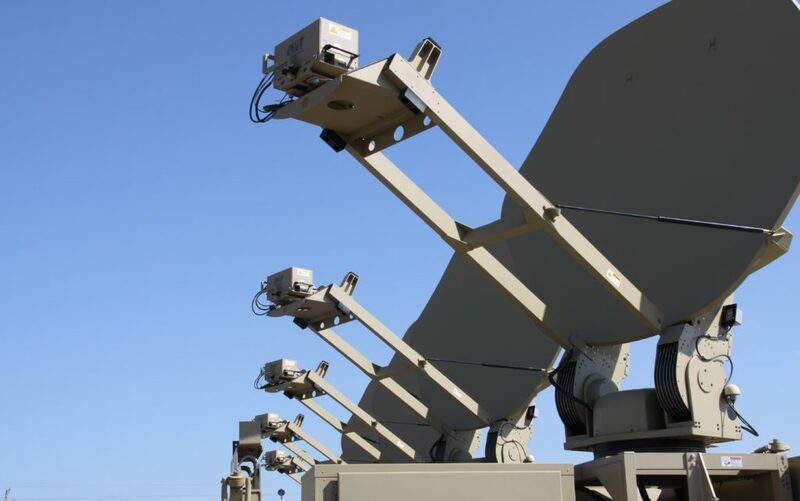 While it is likely that the DoD will retain at least some base MILSATCOM capability in the near term, it should be doing so only for peacetime operations. Clausewitz’s On War should remind us that the DoD also needs to plan for the quickly-emerging space battlefield – and permanently (or be able to quickly) disaggregate and conceal its space resources. Accordingly, the discussion should shift away from how to build a perfect but quickly-outdated MILSATCOM satellite towards development of more agile and robust COMSATCOM contracting vehicles. SMi Group is proud to announce the launch of the inaugural MilSatCom USA which will take place in Arlington, Virginia on 28th-29th June 2016. With growing external threats to US Space Assets, greater focus on streamlining the MILSATCOM acquisition process and a greater desire for international partnering in the US, there will be a great opportunity for the US SATCOM community and allies to meet and discuss how greater progress can be made. This forum will bring together the key government and military personnel as well as industry and this will ensure a highly productive and beneficial meet for all parties. Topics addressed include key aspects of protected SATCOM, such as the protected tactical waveform, jam resistance, low probability of intercept, and the integration of COMSATCOM for military communications. In line with the need to ensure greater resiliency, also addressed will be robustness of networks and the strengthening of MILSATCOM architectures.